A recent study by the University of Alabama shows that terror perpetrated by Muslims receives 357 percent more attention in American media than attacks committed by non-Muslims, despite the fact that the latter reportedly committed nearly twice as many assaults between 2008-2016. 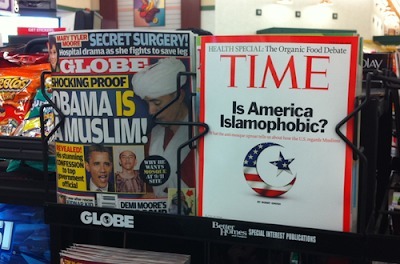 The bias in U.S. media against Muslims contributes to the etching of Islamophobic sentiments in the American psyche, and fuels the anti-Muslim rhetoric spouted by the current administration. According to the study, terrorist attacks committed by Muslims received 105 headlines in national news outlets, compared with merely 15 headlines covering attacks by non-Muslims. A similar study by Georgia State University, which covered the years between 2006-2015, confirmed that religion is “the largest prediction of news coverage”, while target type, arrests, and fatalities play a smaller role in prompting headlines. The disproportionate media coverage of attacks committed by Muslims stands in stark contrast to the fact that the majority of terrorism in the U.S. is perpetrated by right-wing extremists (particularly white supremacists). A report compiled by the Investigative Fund at the Nation Institute and the Center for Investigative Reporting indicates that between 2008-2016, 36 incidents were “motivated by a theocratic political ideology espoused by such groups as the Islamic State”. During the same time period, 115 incidents were committed by white supremacists, including the infamous murder of three people at a Planned Parenthood clinic in Colorado and the 2015 massacre at the Emanuel African Methodist Episcopal Church in Charleston, South Carolina. As concluded by the Georgia State University research, the disparities in news coverage of terrorist attacks exacerbates a widespread fear of Islam in the United States, which eventually shapes a public opinion based on false perceptions and misleading facts, as well as legitimising discriminatory policies by the Trump administration (such as the notorious Muslim ban). Furthermore, by failing to report on attacks launched by right wing extremists and anti-government terrorists, the media effectively gives the latter a pass to commit ruthless acts of violence with little to no scrutiny. This, in turn, contributes to the spreading of a corrosive national epidemic, which silently but persistently wreaks havoc across the country, terrorising mostly, though not only, ethnic and religious minorities. Until sufficient pressure is exerted on U.S. media outlets to remedy this systemic ill in news coverage, it is important that Americans become aware of the actual statistics regarding domestic terrorism. The Marshall Project, a non-profit journal about criminal justice, is one potential source one may want to consult while researching the issue as it keeps an updated list of all incidents of terror committed by right wing extremists and white supremacists.